Krag Collectors Association – Dedicated to the continuing study, collecting, and preservation of the Krag Rifle. and preservation of the Krag Rifle. The desire to improve upon the then standard caliber .45 black powder arms, from tests conducted during 1889 and 1890, brought about the first caliber .30 smokeless-powder cartridge to be adopted by the United States. 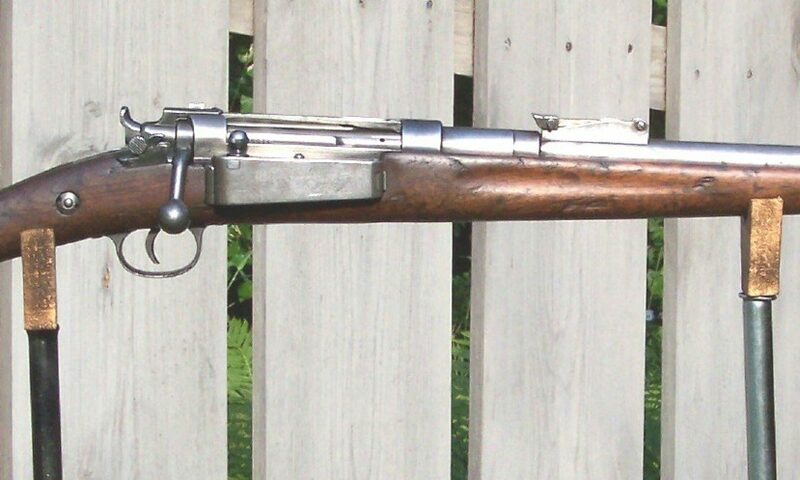 Selection of magazine arms from various U.S. and foreign inventors during the early 1890’s, resulted in final approval of the five shot bolt-action weapon that was loaded through a hinged gate on the right side of the receiver. This design was submitted by Col. Ole Krag and Eric Jorgensen of Norway in 1892. Common names given were; “Krag-Jorgensen”,“.30-40 Krag” or simply “Krags”. During the ten years (1894-1904) of Krag production less than 500,000 arms were completed and changes to reduce costs and facilitate ease of manufacture resulted in non-interchangeability of parts requiring many new model designations. All were manufactured at Springfield Armory in Massachusetts. Similarly with improvements to the smokeless-powder base, which effected trajectory, front and rear sights were recalibrated often, requiring again, many rear sight model designations. Though short lived, the discoveries through trial and error, experiments with prototypes and in field usage during the Spanish-American War, Boxer Rebellion and Philippine Insurrection, gave the foundation to U.S. military shoulder arms that we have today.